Of all the aircraft that I’ve ever studied, stealth craft remain the most cool and interesting. And in honor of this ongoing fascination, I’ve decided to do a list of the world’s various stealth fighters, stealth bombers, and miscellaneous stealth craft. Due to the fact that many new ones are under development and the subject of much secrecy, I’ve decided to stick to those that are currently or have been in operation. I present them now, in alphabetical order. Enjoy! There’s nothing like a classic… a big, bad classic! 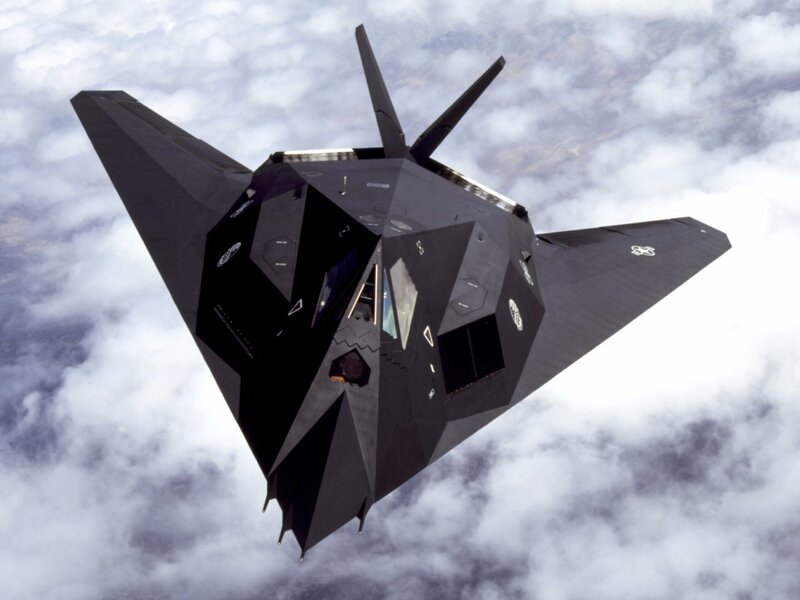 A strategic stealth bomber, the Spirit is one of the first stealth craft to be developed, though its entry into service was overshadowed by the F-117 (see below). A long range aircraft, the Spirit is capable of carrying both conventional and nuclear weapons. Developed in conjunction being Boeing and Northrop Grumman, development began during the late 70’s and continued into the 80’s. It’s original purpose was to penetrate Soviet anti-aircraft defenses and deploying nuclear weapons against high-value targets. 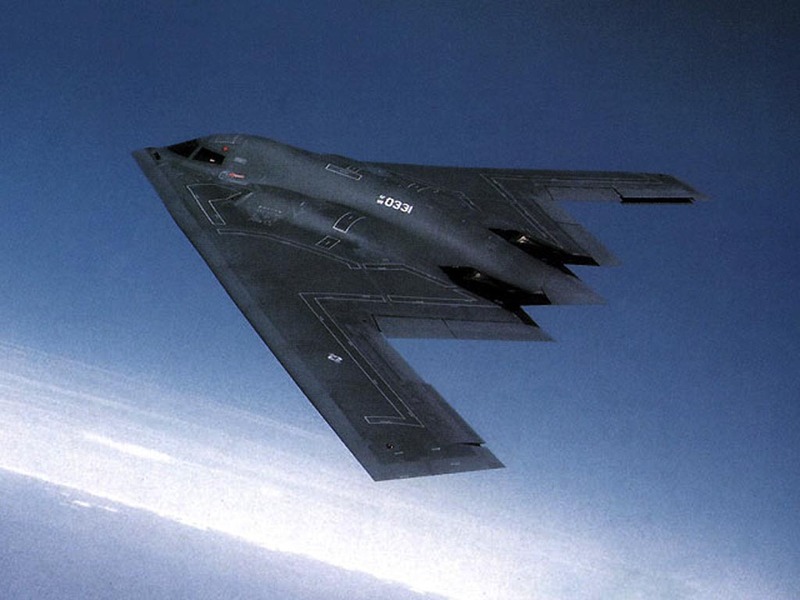 With the end of the Cold War, the program was scaled back and the B2 did not see active service until 1997. It was has participated in the Kosovo War in 99 and was deployed to both Afghanistan and Iraq for conventional, long-range bombing missions. The Spirit requires a crew of two and contains two internal bomb bays in which munitions are stored, either on a rotary launcher or two bomb-racks. The B2 was the first to carry weapons in this fashion, which results less radar visibility than externally mounting of munitions. These internal weapons bays are capable of equipping conventional bombs, cruise missiles, and nuclear weapons. However, the bomber carries no surface to air missiles or guns, relying on its stealth technology to avoid encounters with enemy fighters. China’s been making a lot of waves in the news lately thanks to the development of its stealth fighter program. And though they may be thirty years late to the party, they are in a perfect position to take advantage of all the latest developments. Much like all 5th generation stealth craft, the J-20 is based on the concept of a twin-engine multi-role fighter aircraft that is stealthy, not undetectable. Beginning in the 1990’s, the J-20 was unveiled in 2011, though it is not expected to enter service between 2017 to 2019. However, China has publicized the creation of this fighter extensively as part of its modernization efforts. The source of the technology remains unknown, though some speculate that it was reverse engineered from samples taken from the downed F-117 in Serbia (see below). Chinese sources deny this, however, claiming it was the result of home-grown innovation. 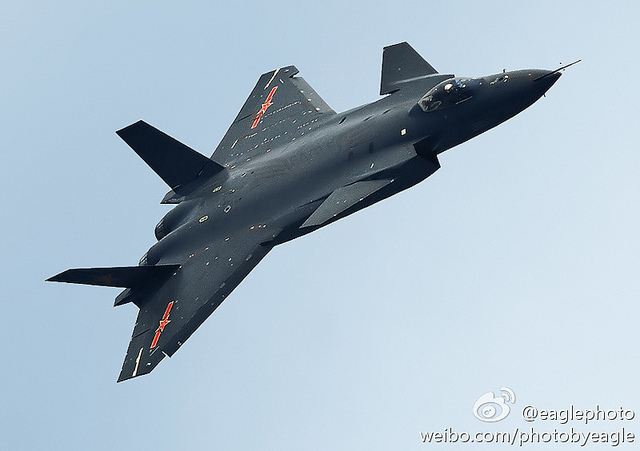 And like other 5th generation craft, the J-20 has a belly-mounted internal weapons bay for short and long-range air-to-air missiles, and two smaller lateral weapon bays behind the air inlets for short-range weapons. From some photos obtained of the fighter, the armament capacity appears to be the same as the F-22 Raptor, with six weapons mounts. The first ever stealth craft to be unveiled, the Nighthawk will forever be known the “Stealth Fighter”, despite its ground-attack role. A single seat, twin-engine craft, the Nighthawk was developed in the late 70’s by Lockheed Martin. By 1983, it was introduced to the US Air Force but was not officially unveiled until 1988 when it began participating in military operations. The first was in 1989 during the US invasion of Panama. However, this would be overshadowed by its more publicized role in the 1991 Persian Gulf War. There, it took part in 1,300 sorties, scored direct hits on 1,600 high-value targets in Iraq and was one of the few US and Allied aircraft to actually take part in strikes on downtown Baghdad. Throughout that war, and despite the proliferation of AAA, not a single craft was shot down. During the Kosovo war, in 1999, the first F-117 was shot down outside of Belgrade by a Serbian missile brigade that had been experimenting with short-wave detection. This one incidents remains the only combat loss in the aircraft’s operational history, which ended in 2003 due to the introduction of the F-22 and other newer generations of stealth aircraft. The original 5th generation fighter, the Raptor is a single-seat, twin-engine supermaneuverable fighter aircraft that uses stealth technology in a revolutionary way. Unlike previous generations of fighters, like the F-117, that attempted to be invisible on radar, the F-22 was designed to be difficult to detect, thus affording it a tactical advantage against enemy aircraft. Hence, it was designed primarily as an air superiority fighter, but has additional capabilities that include ground attack, electronic warfare, and signals intelligence roles. Development of this fighter craft began in the early 80’s with the intention of replacing the older F-15 and F-16 fighters, largely in response to the development of newer Soviet aircraft (such as the SU-27 and MiG-29). By the early 90’s, the first prototypes were released and highly publicized, with the first test flight taking place in 1997. 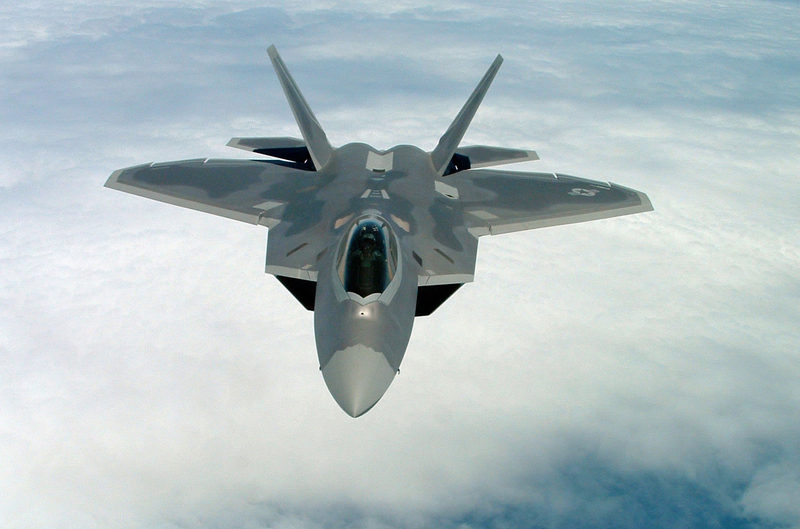 In addition to its internal bays, thrust vectoring, and state-of-the-art control systems, the F-22 also incorporated stealthy materials and molded surfaces to minimize radar signature. Since it entered service in 2005, the production of F-22’s has been stalled and restarted a few times over, largely in response to the development of the F-35. In 2010, funding for further production was officially cut. Nevertheless, the F-22 remains one of the most imitated designs in the world, inspiring the Sukhoi PAK FA and the Chendu J-20. The latest 5th generation stealth craft to be developed in the US, the Lighting II is a revolutionary design that incorporates all previous innovations in the field of stealth fighters. 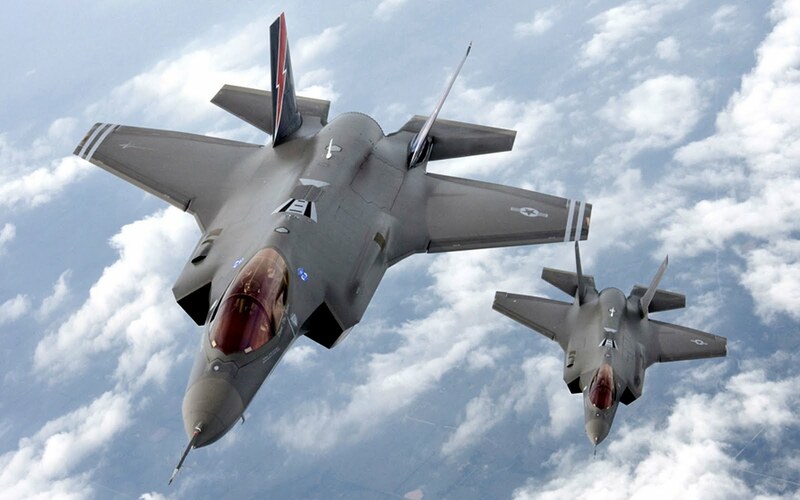 Developed in the 90’s as part of the Joint Strike Fighter (JSF) program, the F-35 was intended to replace the aging F-16, A-10, F/A-18, and the British and American Harrier jump jets. Though not officially in service yet, it made its debut flight in 2006 and is expected to join the US Air Force by 2016. In total, three variants have been proposed, each designed to fill a different type of mission profile. The F-35A is a conventional take and landing fighter, the B variant incorporates short-take off and vertical-landing capabilities, while the C is designed to be a carrier-based model. Much like its predecessor, the F-22, the Lightning II possesses thrust vectoring, meaning it can adjust the angle of its thruster to assist in difficult turns. In the F-35B model, the engine nozzle is capable of being aimed straight down and, combined with a centrally-mounted turbofan, allows the craft to hover in place and land vertically. 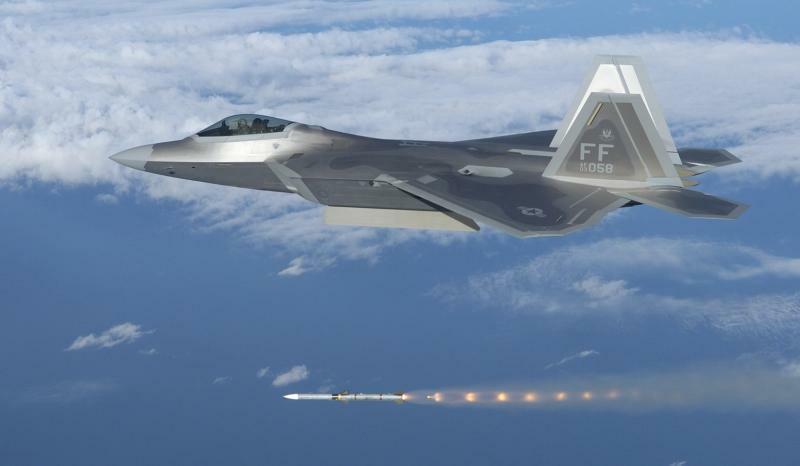 It’s internal weapons bays, stealthy shape and materials – all of which are adapted from the F-22 – also give it a low radar signature. In summary, it is the most advanced and versatile stealth fighter yet to be introduced to the world. Last, we have Russia’s answer to the 5th generation stealth fighter challenge. Beginning in the late 1980’s as a successor to the Mig-29 and SU-27, the T-50 is the culmination of Russia’s PAK FA (Prospective Airborne Complex of Frontline Aviation) program. A single-seat, twin engine jet fighter, the T-50 represents the former Soviet blocs efforts to develop weapons comparable to the Western Allies. The T-50 made its first flight in 2010 and is expected to join the Russian Air Force by 2015/16. Much like all 5th generation fighters currently in development or in operation, it’s armaments consist of two internal bays for missiles and either one or two GSh-301 30mm cannons. 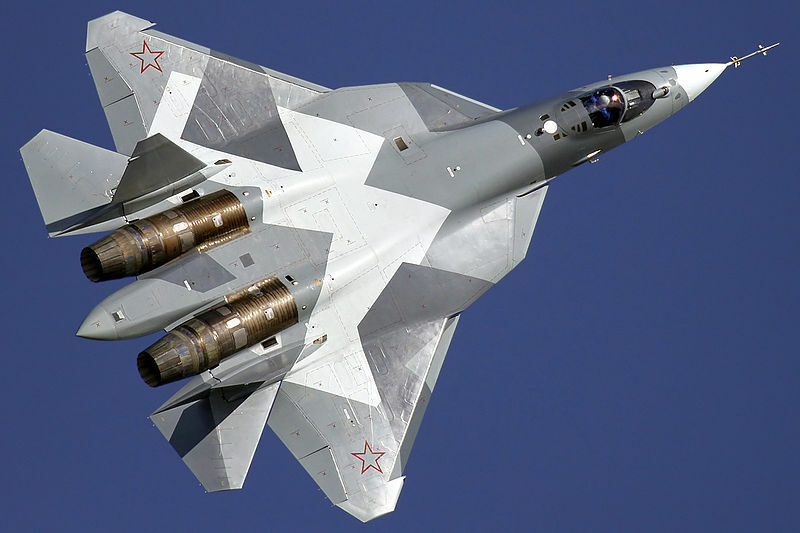 In terms of its profile, the T-50 bears a striking resemblance to the F-22. However, it has some clear differences, such as the absence of thrust vectoring. However, it also takes advantage of some of the latest in avionics technology. These include three X-band arrays planted in the front and sides of the plane, as well two L-band placed in the wings. This allows for greater detection abilities, especially where stealth craft are involved. What’s more, the new technology enables fighter to fighter information sharing. Pretty cool huh? Given the advance of technology over the years, it seems like only a matter of time before fighters incorporate direct control through neural links, and polymorphic frames that can change shape based on altitude and air resistance. What’s more, in a few years time, we’re likely to see aircraft that can take advantage of the latest in adaptive camouflage and real-life cloaking technology, making the terms “stealth fighter” and “undetectable” quite literal! Cool indeed! Which of these would you fly if you could? The F-22 I think, it’s got the thrust vectoring, and is still a two engine craft. I don’t trust single engine craft much! the F-22’s the Raptor, right?